Our summer/fall Birthday Party Guide features great warm-weather planning for fun in the sun! From entertainment to supplies, birthday gifts to venues, cakes and more - we have it covered. Celebrate your next birthday at Athletica Gymnastics! Your child will have a blast with us at their gymnastics-themed birthday! Our coaching staff will lead the birthday party-goers through fun activities including flashlight tag, obstacle courses, gymnastics skills, board games, and more in our state of the art environment! We have all of the equipment necessary to ensure a safe, exciting, and unforgettable birthday! Come and ‘Wipe Out’ at North America’s largest indoor inflatable park! Bursting with over 25 of the most amazingly fun attractions on the planet, memories are sure to be created at this adventure park! Plan to enjoy All-Day-Play admission pricing and crazy, active fun for the entire family! Be sure to check out the website for everything you need to know before you go! A unique, affordable, and fun experience for all... at your location or ours! Flexible packages and activities for your child’s big day include themed invitations, creative free play, motorized model builds, LEGO®-based games/challenges, and a special T-shirt for the guest of honor. Loot bags, refreshments, and more can be added for a no-hassle celebration. Visit the website for detailed options and to submit a booking form. A favorite place for Calgary’s birthday parties! Four package choices: Party Animal! Horse Crazy! Deluxe! Or Ultimate Blowout! All include time in the Birthday Barn or Tipi, Panago’s excellent pizza, and, of course, a visit with all the animals in the farmyard, too! Package details and order form available at butterfieldacres.com. Celebrate your child’s birthday with their own special tent at the award-winning Calgary Corn Maze & Fun Farm. With tons of activities and space to run, birthday guests can jump on our giant inflatable pillows, visit our barnyard animals, play a round of mini-golf, ride on our tractor pull rides, mine for treasures, go through our small or large corn maze, and so much more. Great for all ages, your birthday event will be hassle-free and full of happy memories. This is a very popular fun farm and tents will book up. Visit our website to book your party now. Party your paws off at Calgary Humane Society for your next birthday! Our standard birthday package includes a presentation, crafty crafts, shelter tour, an animal guest, and time for cake and presents. Or check out our deluxe party which includes everything in the standard party plus an extra hour for more animal guests and pizza! Looking to have an extra special birthday? Ask about our Birthday Fundraising ideas on how you can help the 7,000 abandoned, abused, and neglected animals we care for each year. Come celebrate at the Calgary Zoo while supporting conservation efforts, too! Just like no two tigers have the same stripes, you can create a birthday party for your child that’s as unique as they are. Choose from a variety of activities, and then let your party host take you and your guests on an unforgettable animal adventure. There are party themes for children ages 3 to 12. Fly through the air like a ski jumper! Break a world record wheelchair racing time! Block shots in a 3D goalie interactive! It’s the birthday party your child will never forget at Canada’s Sports Hall of Fame. Enjoy dozens of hands-on interactive exhibits as your party guests experience 150 years of Canadian sport history. For more information, visit sportshall.ca or call 403-776-1040 to book. Book your next party with The City of Calgary. Choose from action-packed theme parties to nature adventures, uniquely themed arts experiences to climbing walls - we have it all and more, and we have multiple locations to choose from. 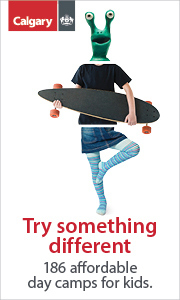 It’s easy, affordable, and fun! Do you want to have an exciting, fun, and unique birthday celebration that you will never forget? Then have a Dance with France Birthday Party! Invite your friends and family members, and dance! You choose the style of dance, and we provide the dance instruction, party games, the fantastic facility, and loads of fun! For ages 4 to adult (typically a two-hour birthday party). Are you ready for the best party ever? Calgary’s most unique venue offers birthday parties, sleepovers, team wrap-ups, field trips, and more! Flip Factory offers a variety of exciting activities for your event including gymnastics, circus, Ninja Warrior, parkour, and Calgary’s only indoor reverse bungee. Tot Spot parties are perfect for toddlers and babies. Party packages include exclusive access during your party, so you can have Flip Factory all to yourself! With two themes to choose from, you will be guaranteed to have the birthday party your kids will never forget! Choose our Farm Friends package and the whole party gets an ‘inside the fences’ tour of the Farm Friends Petting Zoo and the birthday child gets to feed the alpaca! Or choose our ‘Create the Fun’ package and the kids will be busy learning and creating a craft they get to take home! INJANATION FUN & FITNESS INC. Celebrate in Calgary’s largest indoor playground with 55,000 square feet of pure fun for ages 1 to 101! With a trampoline park, ninja warrior courses, climbing walls, and much more, your event will always be exciting and adventurous! We offer flexible party packages for every occasion and age group. Birthdays, team wrap-up celebrations, team-building events, Christmas parties, and more! Jelly Modern Doughnuts offers customized parties in our one-of-a-kind venue, Canada’s first exclusive gourmet doughnut bakery café. Celebrate with your guests in the sophisticated private party room at Jelly. Included in the party is a craft, doughnut decorating and chef demo, loot bag and toy, age-appropriate games and story, birthday cake and snacks (doughnut sandwiches, chicken fingers, mac ‘n cheese and sides of either potato chips or veggies and dip). Celebrate your day outdoors at Kayben Farms’ Sunshine Adventure Park bouncing, playing, meeting animals, and exploring. Spend two hours or spend the whole day. Choose from the Sunshine Birthday, Picnic in the Park, or Ultimate packages. Book online at kayben.com. Parties available from May to October. Monster Mini Golf Birthday Parties are unlike any Birthday Party you have ever experienced! Your child will be the star of the event and the centre of attention on their big day, as you and your guests will receive red carpet treatment. No work, no stress, and no mess! Loads of Monstrous Fun! See our ad for 20 percent off all party packages and BOGO offer. Celebrate your child’s birthday at our exciting indoor climbing centre. This unique party experience will actively challenge your group in a safe, fun, and encouraging atmosphere. For an extended party, the option of adding swimming in our pool is also available at no extra charge during open swim times. For full details and to fill out our online booking request form, visit our website. Your birthday party headquarters, specializing in children’s birthday parties! Three private party rooms, bowling, food, and beverages - a complete and total package to make your child’s day extra special. Let us take the worry away, so you can enjoy a stress- and work-free celebration. Oasis River Country Water Park at The Sheraton Cavalier Hotel Calgary is the perfect place for your birthday party! Featuring two giant 250-foot water slides, a kiddie pool, main pool, and for parents, a relaxing hot tub and whirlpools. SPLASH! Snack Bar overlooking the water park offers all the delicious food that any child wants featured at their birthday party. Priced from $26 per person (gratuity/taxes extra, prices subject to change). For times available, call 403-250-6323. Let us take the stress out of planning your next celebration. We offer birthday party packages that include swimming, bowling, Zumba and Yoga. Add on party characters, face painting, and a bouncy castle to our great party packages to make your child’s birthday even more magical! Shakers is Calgary’s hottest place to host a birthday party! We offer different birthday party packages suitable for all ages! Packages include unlimited access to some of our most popular attractions! Packages also include food and game play in our arcade! Join Tuck-N-Tumble for a two-hour action packed party filled with active games, gymnastics, and free play on an indoor playground! Every party includes one certified gymnastics coach with over 20 years coaching experience. Maximum 12 children per party. All registration is done online through our website, tuckntumble.ca. Vin Gogh Paint and Sip Studio is the place for painting parties! We host parties for both kids and adults. You will get a step-by-step painting session with an experienced artist. You can choose your favorite painting from our painting gallery. Our painting sessions are generally two hours long. You will get an additional hour to enjoy some of our delicious flatbreads, with juice for the kids and wine for the adults. Families can bring in their own cake. We also offer other crafts and slime parties. The kids get to take home their original artwork! Calgary’s best prices and selection with over 60 inflatable units: bouncers and slide combos, indoor/outdoor use, many sizes, and themes. Games, Laser Combat, Sumo Suits, Bungee Run, obstacle courses, Zorb and Bumper Balls can be used by teens and adults, too! Commercial grade equipment - newer and AEDARSA certified. View availability and reserve with the online booking system 24-7. No minimum rental charge, no deposits, and no cancellation fees! We’re turning 10! Since 2008, Calgary Reptile Parties has provided quality educational reptile programming for birthday parties, schools, and other events. Thousands of people of all ages have met our amazing animals over the years such as leaping geckos, colorful pythons, friendly dragons, furry tarantulas, huge boa constrictors, and more while learning about the lives and care of these amazing animals! 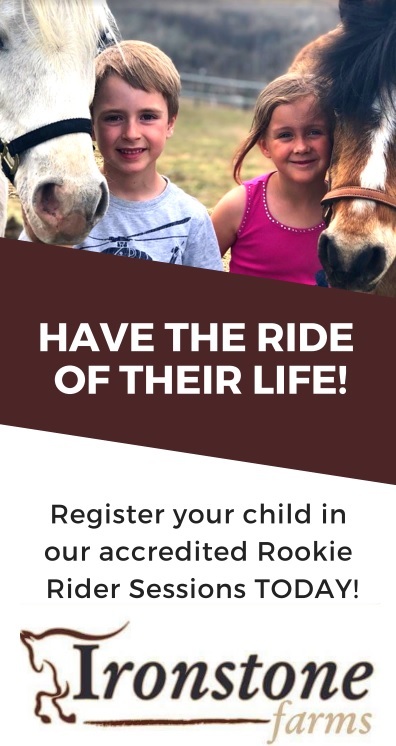 A multiple-time Calgary’s Child Parents’ Choice Award Winner, we bring the animal fun to you! Join the adventure with Calgary Reptile Parties! Calgary’s funniest and most kid-friendly magician will make the stress disappear when it comes to helping you plan your child’s party. Trusted by over 200 parents every year! Visit Christopher’s website today to get instant package and pricing information, check his availability, and book a magic show online! Kids absolutely love magic! 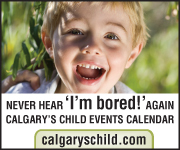 Why not host a magical birthday party for your child with one of Calgary’s No. 1 Parents’ Choice Award Winners, the most fun, kid-friendly birthday party magician Deano the Magic Man! Having performed close to 4,800 age-appropriate kids’ parties since 1997, Deano is an expert on how to make your child’s birthday party extra special! Each show is filled with lots of exciting and enthusiastic kid comedy magic and interactive audience participation. Deano offers different packages to suit your budget! Celebrate your birthday with Engineering For Kids! Uncover the fun in STEM learning, from making your own ice cream to battling SumoBots. The birthday child will receive an EFK T-shirt. Keep your minds and hands busy. Invite your friends for an action-packed party that is sure to thrill! Book today and celebrate your special day with EFK. Fairy Tale Princess Party strives to provide fairytales and happily-ever-afters. Our goal is to make dreams come true to princesses and princes of all ages. We are dedicated to offering princess, prince, fairy, pony, monster, and superhero character visits that are not only entertaining, but provide good role models for children while encouraging imagination and self-esteem. We would love to make your child’s birthday party magical! FEEL FABULOUS MOBILE SPA - SPA BIRTHDAY PARTIES FOR GIRLS! Feel Fabulous Mobile Spa specializes in spa birthday parties for kids and teens! They bring fantastic party décor to your home, and offer a wide selection of services suitable for all ages, such as mini-manicures/pedicures, freehand nail art, organic facials, hairstyling, light makeup, and more. Other popular services include beauty product making activities (where girls can make lip balm, body butter, perfume, and more) as well as a mother/daughter spa menu. All your child wants for their birthday is to play video games with 10 of their best buds. But all you can think about is these kids taking over your home, crowding and fighting over one console! Now you both can have a happy birthday with Gamers Fun Truck! We park outside your house, and the kids enter gaming heaven. For more information, visit our website. For birthday parties, I come to your house for a full hour and perform an exciting 30-minute show! For the rest of the time, I tie fun balloon sculptures for the kids. The show includes mimicry, mime juggling, (balls/pins/hat) clown magic, follow-the-leader, and lots of audience participation. A great show for all ages! To watch some of my show, visit my website. Parties Rock at Idea Lab! Looking for a truly unique hands-on experience for your child’s birthday party? Idea Lab parties are certainly something to celebrate! Choose your themed party from Cooking to Coding/Robotics to Science; there is something for everyone. The birthday child will receive an Idea Lab T-shirt. Book your next party and let’s celebrate. We bring the party to you! Making parties fun with science for 23 years, children are amazed and “edu-tained” with fun, interactive experiments. The birthday child gets to wear a Mad Science Lab Coat and be the Mad Assistant, and everyone will make something to take home during a hands-on experiment. A gift and a science poster is also given to the birthday child to keep. Cool add-ons and customizations are available, too! A 2018 Parents’ Choice Award First Place Winner. Creating magical moments, leaving lasting memories! Imagine the look on your child’s face when they see a character they love come and visit them at their next event. We have many professional mascots and costumed characters. Offering Princess Parties, Superhero Parties, and Mascot Parties. We are available for birthday parties, corporate events, and more. Our interactive birthday packages are filled with games, dancing, activities, and more - all at affordable rates. Make your child’s birthday party extra special. Richard can present a 30- to 45-minute show with comedy, audience participation, and jaw-dropping magic. Suitable for ages 3 and up, Richard will tailor his show to the age of your birthday child. Past Calgary’s Child Parents’ Choice Award Winner for Children’s Entertainer. Richard Young the Magician does extraordinary magic! But it’s much more than magic. His fast-paced shows combine magical illusions, hilarious comedy, clean fun, a white dove, balloon animals, and tons of audience participation! Parents love how wonderfully he works with the children, and was voted one of the top three children’s entertainers in Calgary. So for something extraordinary, call Richard Young the Magician today. TELUS Spark is a place for people of all ages to embrace curiosity and explore science, technology, engineering, art, and math in new and innovative ways. Discover what makes the world around us so undeniably incredible. Explore over 100 exhibits, exciting live science demonstrations, YYC’s only HD Dome Theatre, and an amazing outdoor play park for independent play. Make your party animated with Tricky Pix! Tricky Pix Parties is a traveling party service that uses animation, trick photography and pixilation to create a fun and unique way to celebrate. Everyone receives a digital file of the final sequence and a trick photo to enjoy the celebration long after the party ends. Drop by the Tricky Pix website to book a party! You Glo Girl offers mobile-themed spa parties for kids and teens. They have party ideas that are guaranteed to capture any girl’s heart! There are options for boys who attend, too. Create a unique party atmosphere in the comfort of your home or location of your choice complete with enticing and charmed decorations. We offer manicures, pedicures, sparkly makeup, fancy hairstyles, facials, and more. Choose from packages such as Dance Diva, Beach Bash, Pajama Slumber, Glitz & Glam, Magical Fairy Tea Party, and more. Let us do the work for you! Planning a birthday party? Young Rembrandts is a refreshing program for kids. Our passion is Art and we Love teaching children how to Draw. All material is provided and your child can choose a drawing they would like to do with their friends. Watch for the excitement and sense of accomplishment on the children’s faces as they complete their masterpieces! Refer to this ad for 5 percent off your Birthday Party Package. We believe in families. Big ones. Loud ones. For Italians, delicious, bountiful meals are a way of life and the dining table is where we bond. It’s where families come together, friends are found, memories are made, and business is done. Come, step into Italy. Grocery. Deli. Bakery. Café. Why not a birthday pie instead of a birthday cake? The Pie Junkie is a proper pie shop, making sweet and savoury pies the way your grandmother did - with love and pride. Our pies are made from scratch with an all butter crust and homemade fillings. We bake sweet and savoury pies fresh each day. Pies are available in store or if you'd like to special order any pie for pick-up tomorrow, place your order before 1pm today! The Happy Birthday Project invites you and your kids to Party it Forward! We encourage all kids to get involved and give back by collecting and donating birthday party supplies, new toys, or financial gifts to help us make sure every child is acknowledged and celebrated on their birthday! Our mission is to bring joy to the lives of children and families facing adverse circumstances by providing them with birthday celebration packages. Help us spread the birthday joy around!